Over the past several months, I’ve had the pleasure of working with a wonderful client named Jennifer. Jennifer is a therapist who runs her own business helping women heal emotionally after they’ve had difficult childbirth experiences. She hired me to write copy to support the launch of an online group therapy program she developed. When Jennifer showed me her existing website and email marketing campaigns, I was blown away by something unique: her incredible natural ability to connect with her audience. Jennifer’s voice shone through so powerfully — and resonated so deeply — that I knew I had to keep it intact. Because of this, my work with her involved making technical edits to her copy, reorganizing her story lines, and incorporating conversion copy to her landing pages and sales pages. Her voice and tone were bang on. It was clear to me that she deeply understood her audience and how to engage with them. Mirroring her natural voice kept it authentic. 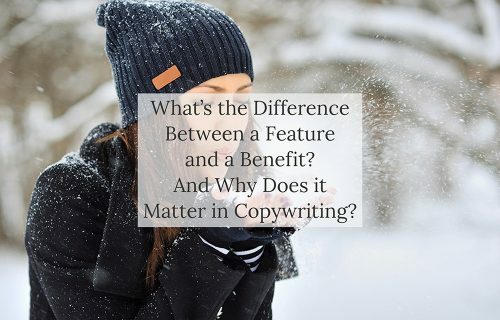 My job isn’t to write copy in my own voice, it’s to write copy in the voice of my clients. When Jennifer’s readers meet her, I want them to know she’s the same type of person online and offline. That’s the thing about voice: authenticity is powerful. If your business or brand has you at its core, it’s a great idea to invest some time discovering and cultivating your unique voice. This relates, in particular, to independents like: therapists, counselors, nutritionists, healers, life coaches, fitness instructors, yoga teachers, writers, designers, artists, photographers, filmmakers, actors, and consultants. Here’s the thing: When a client come across your website, you want them to feel as though they’re encountering the true you. You want them to have a seamless experience — whether they read your homepage, read an email from you, speak with you on the phone, or meet you in person. It should all sound like the same person. It should all sound like you! Why? Because a consistent voice develops trust. It also helps your clients understand your values, and assess if your values mesh with theirs. Now, that isn’t to say you need to present a ‘flat’ version of yourself in order to stay cohesive. You are (like everyone else) complex and layered, with varying moods. To oversimplify your voice puts you at the risk of sounding dull or contrived. Instead, what you’re after is a voice that’s natural to you. One that mirrors your natural speaking voice. One that you don’t have to force or put on. What we’re trying to avoid is a major disconnect. For instance: if you’re a funny and relaxed person in ‘real life’, you don’t want to have an overly formal online voice. Likewise, if you tend to be on the shy side in person, it’s not a good idea have an in-your-face online presence. So, how can you start to tune in to your authentic voice? And how can you cultivate your voice online? For some people, it might be simple. Jennifer, for instance, is highly skilled at this. Perhaps her skill comes from the fact that she’s used to connecting deeply with people in her line of work, so she’s very aware of what her voice ‘sounds’ like. It could also be that she has a natural ability to translate her voice into writing. Whatever the case, she’s figured it out! However, for many of us, it’s not so easy. If you don’t like writing, or if you’re new to your business, sitting down at your computer and trying to write your homepage in a way that ‘sounds’ like you might be overwhelming. If so, don’t worry. You’re not alone! Furthermore, there are some simple things you can do that will put you on the right path. Understand what voice really means. Your written voice is best defined as your unique style, personality, and point of view. Your voice is expressed through the words you choose, how you convey your message, and the perspective you write from. But it doesn’t stop there. Your voice isn’t flat. Nope, your voice can — and does — take on varying tones. For instance, the tone of your voice is probably formal in a business email, but casual in a social media post. Your written voice works, in many ways, like your spoken voice. Be mindful of how your voice can influence your brand. It’s important to remember that your voice will influence how people view your brand. So, how you end up sounding should line up — somewhat — with how you want people to view you. However, don’t get fixated on how you’re supposed to sound, since altering your voice significantly can detract from your authenticity. In many cases, the best voice to use is a natural one — just make sure you do a signal check to ensure that your voice doesn’t wildly mismatch your brand objectives. Think about who your audience is, what would resonate with them, and how you can leverage your natural voice to talk to them in a way that accomplishes your objectives. Choose five words that best describe you. This can be a simple, yet difficult, exercise. But pushing yourself to choose five words that best describe you will help you zero in on your personality traits. After you’ve chosen those five words, see if they describe your natural speaking voice. When you speak with someone, are those five traits embodied in your banter? Once you’ve settled on five words, move on to the next exercise. Ask someone who knows you well to describe you in five words. Repeat the exercise #3, but do it with someone who knows you well, and has seen you interact with many different people, in different contexts, in different environments. Do their words line up with yours? Of the words they came up with, which ones seem most natural or right to you? Once you’ve got their five words, move on. Do a journalling exercise. When you’re ready, sit down with a notebook and pen. Remove all distractions, and at the top of your page write: “Lately I’ve been thinking a lot about…” Now, free-write for 7 minutes. Try not to stop writing for even a second during these minutes. Let the words spill out onto the page. Don’t worry about whether your writing makes sense or not (no one will see it!) and don’t re-read it or edit it as you go. Just write. At the end of 7 minutes, read it back to yourself. Read it a few times. Underline words that stand out to you. Notice the ways in which you’ve described certain ideas or experiences. Did you write matter-of-factly? Or poetically? Or with humour? Or with sarcasm? See what you can tease out of the writing. This is a good indicator of your authentic written voice. Put it all together. Review all of the work you’ve done so far: What were your brand objectives? Which words describe you best? How did your voice take shape during your journalling exercise? Put the pieces together, and see if you’ve uncovered any insight about your unique written voice. Think about how to translate your voice into writing. If you found that your voice is soft, gentle, encouraging, and positive, think about what that could look like in terms of the words you choose, the sentences you construct, the stories you tell to your customers online. You might choose pleasant sounding words (as opposed to harsh, reactive words), use sentences that flow well (as opposed to short, bold sentences), and tell stories of transformation and hope. This is how you start to create your voice. Cultivating your authentic written voice takes time. Even professional writers struggle to choose the right words. Writing takes practice and persistence. But if you pay attention to your written voice from the outset, it will help you build a brand that sounds, feels, and reads like you. And that’s a huge accomplishment! Thank you Karina, this is top notch advice for a budding writer like me!